The Serenity Watergarden Kit comes complete with everything you need to create that backyard paradise you've been dreaming about! These kits are available in two sizes and are shipped to you complete in one easy to handle box. Creating a watergarden has never been easier! 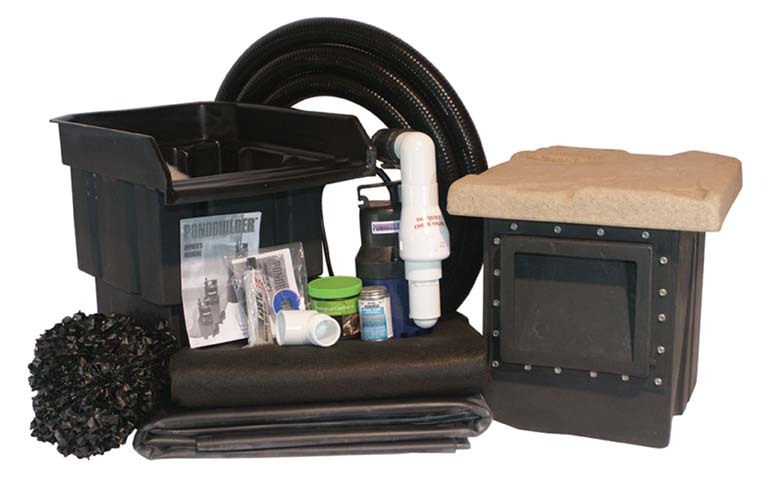 Starter Water Treatment Kit (Includes: Aquatic Plant Fertilizers; Goldfish Food; Test Strips for pH, Buffering Capacity & Nitrite; Dry Declorinator; Buffering Additive; pH Salts; & Dry Benificial Bacteria). Click the link for a copy of the Installation Manual "Download Manual"